Many people (especially on the internet) say that Jesus never really lived and the stories we have about him are simply legends. Most historians disagree, as I have shown in Was Jesus real?. This page is simply a bunch of quotes, in alphabetical order, for reference. some judgments are so probable as to be certain; for example, Jesus really existed, and he really was crucified, just as Julius Caesar really existed and was assassinated. …. We can in fact know as much about Jesus as we can about any figure in the ancient world. There are those who argue that Jesus is a figment of the Church’s imagination, that there never was a Jesus at all. I have to say that I do not know any respectable critical scholar who says that any more. This view [that Jesus didn’t exist] is demonstrably false. It is fuelled by a regrettable form of atheist prejudice, which holds all the main primary sources, and Christian people, in contempt. …. Most of its proponents are also extraordinarily incompetent. Jesus did exist; and we know more about him than about almost any Palestinian Jew before 70 C.E. The information about Jesus which can be gleaned from sources other than the gospels – a few references in Josephus, one in Tacitus, and the information implicit in Paul’s letters, for example – does little more than confirm the historical reality of Jesus and the general time and place of his activity. …. He was a Galilean, and it is likely that his principal teaching and healing activity was in Galilee, but he was executed in Jerusalem. …. There are other facts about Jesus which are equally certain …. WD Davies & EP Sanders, Jesus: from the Jewish Point of View, in The Cambridge History of Judaism Vol 3, pp 621-626. Prof Craig Evans, Arcadia Divinity College, Arcadia University, in What are They Saying about the Historical Jesus? we can no more reject Jesus’ existence than we can reject the existence of a mass of pagan personages whose reality as historical figures is never questioned. ….. In recent years, ‘no serious scholar has ventured to postulate the non historicity of Jesus’ or at any rate very few, and they have not succeeded in disposing of the much stronger, indeed very abundant, evidence to the contrary. [The following is beyond reasonable doubt from everyone’s point of view:] that Jesus was known in both Galilee and Jerusalem, that he was a teacher, that he carried out cures of various illnesses, particularly demon-possession and that these were widely regarded as miraculous; that he was involved in controversy with fellow Jews over questions of the law of Moses; and that he was crucified in the governorship of Pontius Pilate. So in one sense I think I’m not alone in feeling that to show the ill-informed and illogical nature of the current wave of “mythicist” proponents is a bit like having to demonstrate that the earth isn’t flat, or that the sun doesn’t revolve around the earth, or that the moon-landings weren’t done on a movie lot. An ancient historian has no problem seeing the phenomenon of Jesus as an historical one. His many surprising aspects only help anchor him in history. Myth and legend would have created a more predictable figure. The writings that sprang up about Jesus also reveal to us a movement of thought and an experience of life so unusual that something much more substantial than the imagination is needed to explain it. there is a consensus of sorts on the basic outline of Jesus’ life. Most scholars agree that Jesus was baptised by John, debated with fellow Jews on how best to live according to God’s will, engaged in healings and exorcisms, taught in parables, gathered male and female followers in Galilee, went to Jerusalem, and was crucified by Roman soldiers during the governorship of Pontius Pilate (26-36 CE). Amy-Jill Devine, Professor of New Testament Studies at Vanderbilt University, quoted in Wikipedia. I think that the New Testament does provide prima facie evidence for the historicity of Jesus. It is clear, then, that if we are going to apply to the New Testament the same sort of criteria as we should apply to other ancient writings containing historical material, we should not require independent confirmation of the New Testament’s claim that Jesus existed. …. a growing conviction among many scholars that the Gospels tell us more about Jesus and his aims than we had previously thought ….. subsequent Christianity may be in greater continuity with Jesus than was previously thought. Jesus did more than just exist. He said and did a great many things that most historians are reasonably certain we can know about today. …. A hundred and fifty years ago a fairly well respected scholar named Bruno Bauer maintained that the historical Jesus never existed. Anyone who says that today – in the academic world at least – gets grouped with the skinheads who say there was no Holocaust and the scientific holdouts who want to believe the world is flat. 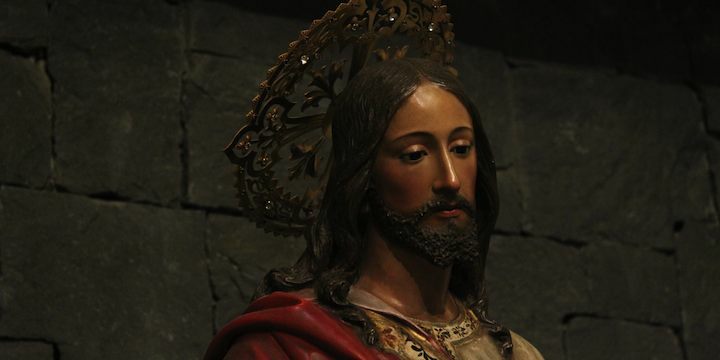 Historical reconstruction is never absolutely certain, and in the case of Jesus it is sometimes highly uncertain. Despite this, we have a good idea of the main lines of his ministry and his message. We know who he was, what he did, what he taught, and why he died. ….. the dominant view [among scholars] today seems to be that we can know pretty well what Jesus was out to accomplish, that we can know a lot about what he said, and that those two things make sense within the world of first-century Judaism. Today, nearly all historians, whether Christians or not, accept that Jesus existed and that the gospels contain plenty of valuable evidence which has to be weighed and assessed critically. Biblical scholars and classical historians now regard it [the theory that Jesus didn’t exist] as effectively refuted. [In answer to the question, did Jesus exist?] I would say it is much more likely that he did than he didn’t. To believe that he had been imagined or invented is a much harder task than to rely on the available evidence, which is obviously not as clear-cut as one would like, but is sufficiently good to say that somebody by the name of Jesus existed around the time when Pontius Pilate was governor of Judea in the first century AD. Robert Price is a qualified Bible scholar but is no longer working at an accredited academic institution. Richard Carrier has a PhD in ancient history but has never held an academic position. Thomas Brodie is a Catholic priest and theologian who has retired.